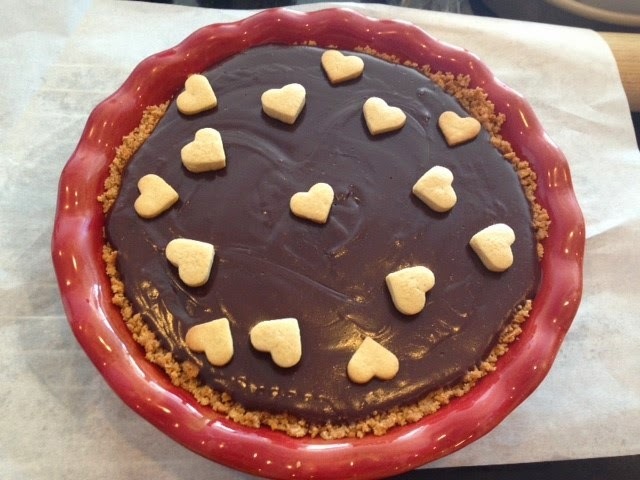 Is there anything more perfect for Valentine's Day than chocolate? Well, maybe diamonds, but you get my point. 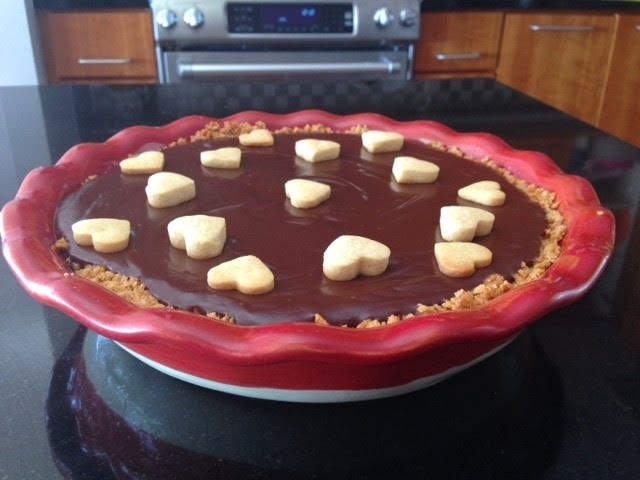 This pie is full of dark, rich chocolate and has a homemade graham cracker crust. Make one for someone you love (or yourself!) today! 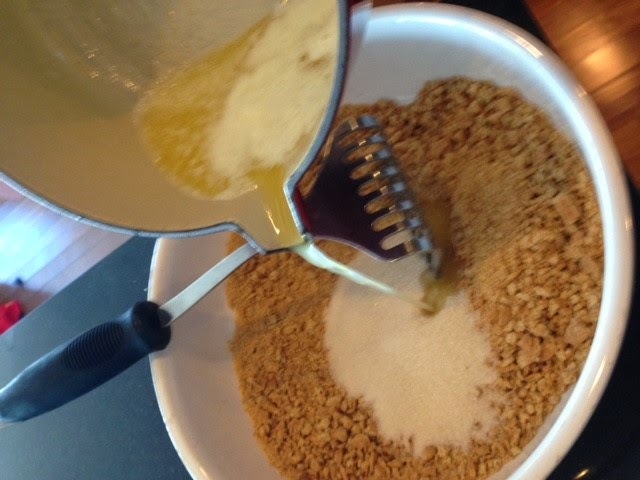 Mix ingredients together and press into pie pan. Bake at 375 degrees for 10 minutes. Allow to cool completely. Combine the sugar, salt, and cornstarch in a large pot. Add the milk and eggs and stir. 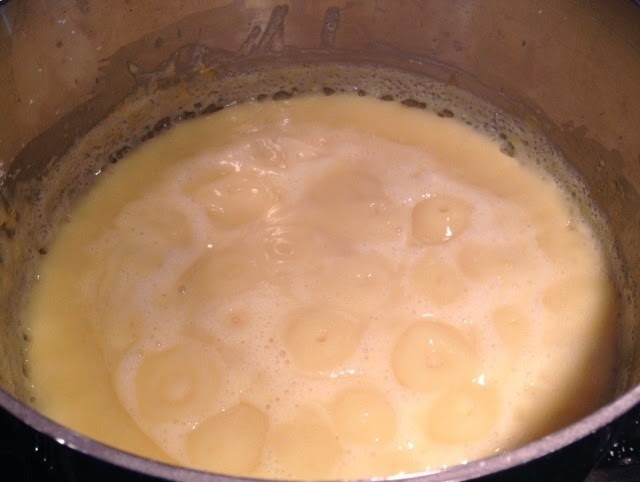 Heat on high until bubbling, then reduce to medium-high. 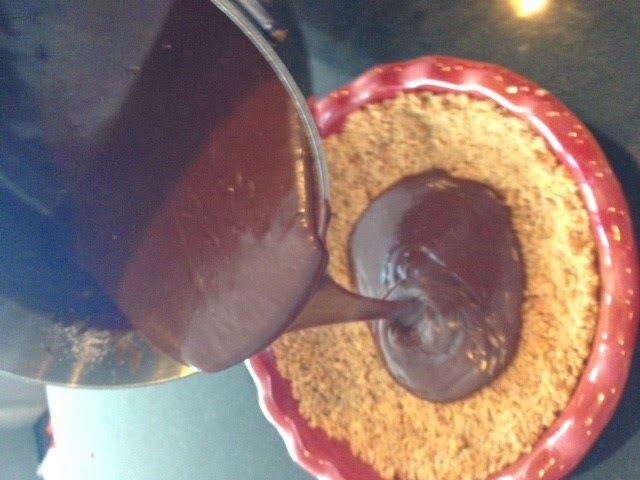 Mixture will start to thicken, see picture. 5-10 minutes. 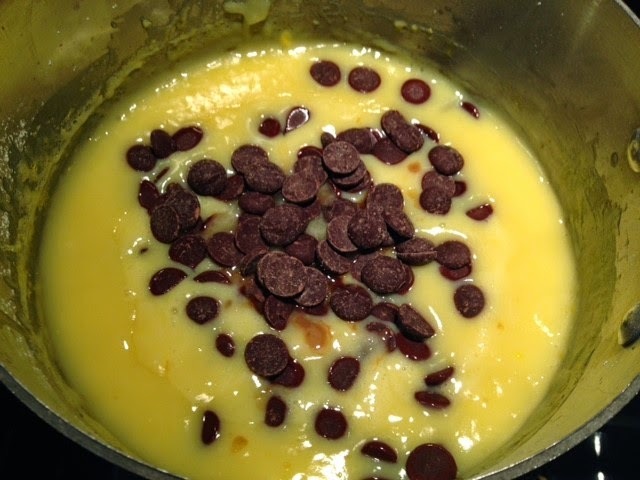 Once pudding-like in texture, take off heat and add the chips, vanilla, and butter, mixing until smooth. 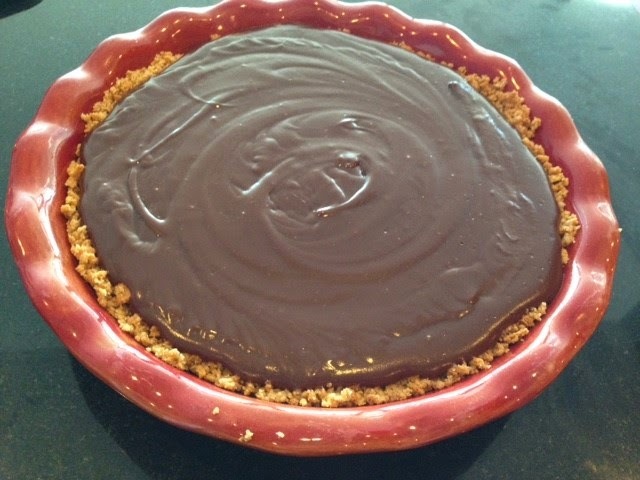 Pour the filling in the pie pan and chill for 6 hours. I decorated mine with some mini heart sugar cookies, but strawberries, raspberries, whipped cream.... anything would be a welcome addition!